Solid, hardwearing and strong tractor with front loader/dipper. Excellent for playing in the sandpit. 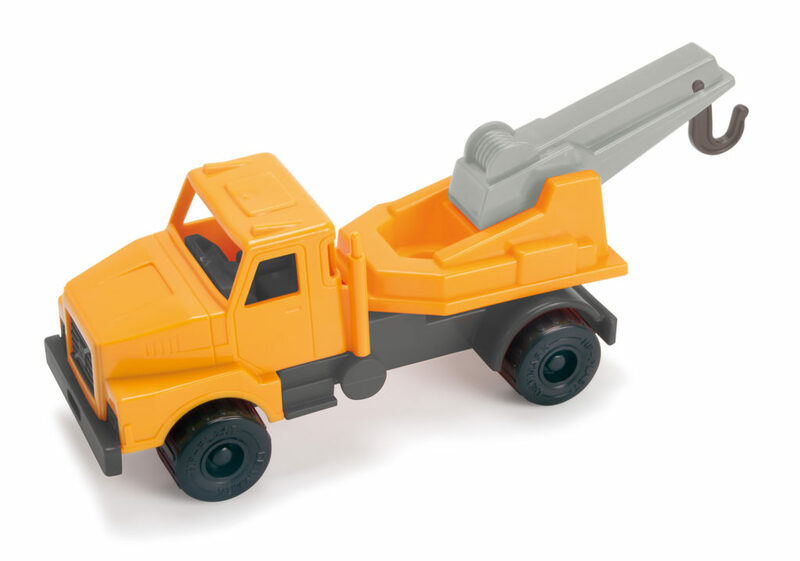 This toy helps strengthening the hand-eye coordination, when the child is loading and unloading the dipper, for example. With rubber wheels which reduces sound, when the tractor is pushed around. The tow truck comes to the rescue equipped with a big crane with a hook. For unloading and loading cars and trucks. Helps strengthening the child fine motor control, when it is attaching and detaching vehicles to the hook. 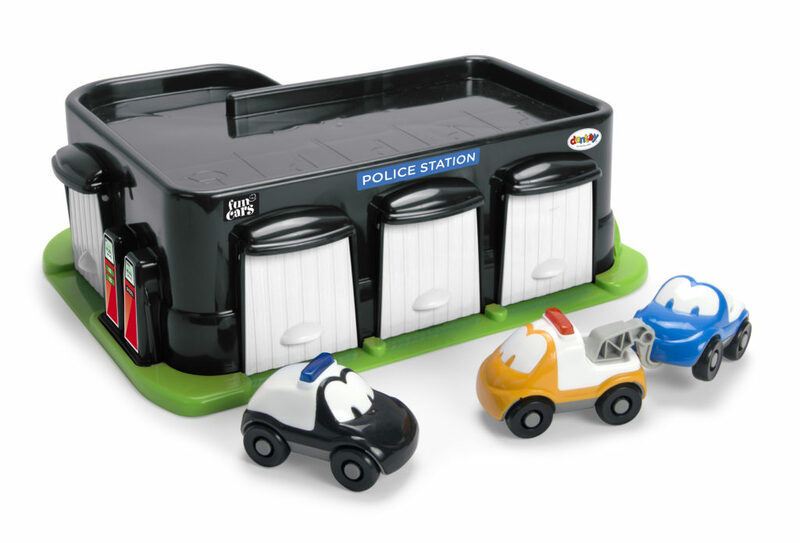 Toy vehicles for children help stimulating the child’s imagination, among other things. When the child is running the car on the floor making sounds like a motor and drives back and forth, the child is telling a story. This story may evolve and thus challenge the child’s imagination. Toys play a major role in a child’s development, for example in regard to the development of the fine motor control, the imagination and the ability to build up a game. 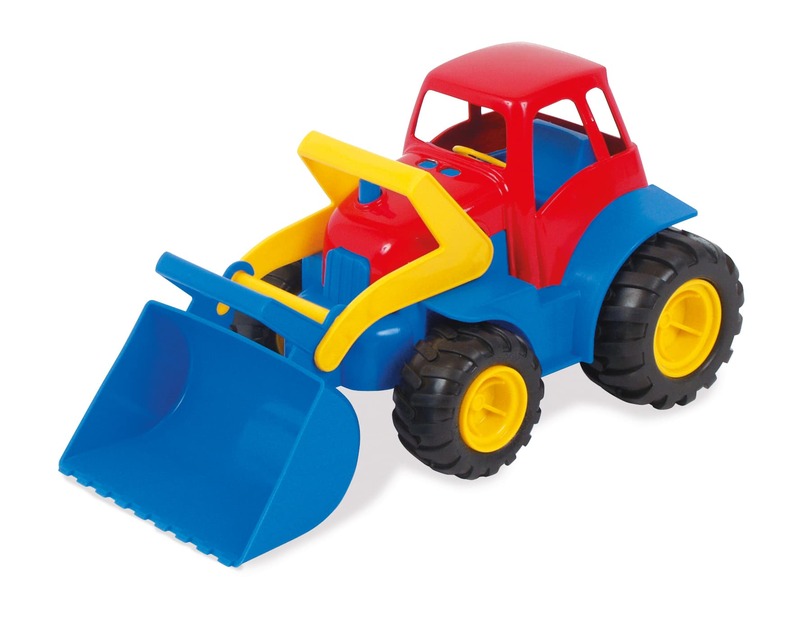 The fine motor control is being strengthened, when the dantoy tractor bucket must be lifted or taken down or when the bed of the dantoy truck is to be raised and lowered when transporting sand from one sandpit to another. As many of the dantoy vehicles have an inherent function, the hand-eye coordination is strengthened, when the child is using them. Either the tractor bucket may be lifted or taken down, or the truck bed may be raised and lowered. The wheels rotate both forwards and backwards, and some of the vehicles have rubber wheels instead of plastic wheels, as they are less noisy when running on tiled or wooden floors. In the Vehicle category, dantoy offers a wide range of vehicles for the little ones as well as for the slightly older ones. For the youngest ones, we offer dantoy Funcars which are very colourful and with each their cheerful expression. These may be used both indoor and outdoor, and they withstand both sand and water. The cars are easily hand cleaned. They are approved for children as young as 12 months and fit perfectly in small hands. In addition, we also offer dantoy racing cars in different designs and different colours and shapes, as either a toy airplane, a racing car or a truck. Furthermore, our range includes the classic toy cars, toy tractors, toy trucks, etc., manufactured in rich yellow, blue and red colours with both plastic and rubber wheels. Here, the child has a rich opportunity to strengthen the fine motor control, as the cars each have an inherent function, besides being able to run both forwards and backwards. The giant trucks (two designs) are perfect for the kindergarten or for large areas. They are rated to 50 kg.